Transforming Souls From Darkness To The Light! 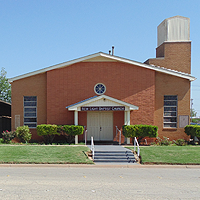 Seventy-nine years ago in 1923, a group of five Christian workers in Abilene, TX, four women and one man talked and agreed to organize a church with Christ as its head. They communed, prayed, and then organized the New Light Baptist Church. These individuals were Sisters Mary Yeates, Mariagh Bennett, Lillian Wells, and Bro. Sam Heir. All are now deceased. 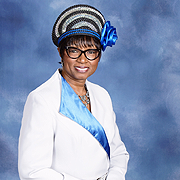 The first call for pastoral duties was extended to the late Rev. S. H. Hubbard, who graciously accepted and served from 1923-1925. He and the members worshipped in a small house on Ash Street and later moved to another site located on Magnolia Street which is now known as North Treadaway. Through his many years of devoted service, Rev. S. H. Hubbard gained the reputation of being a Christian gentleman and a very hard worker. He did much to encourage the members of the church and others to continue toward the road to victory through Christ. Rev. John McDowell was called to pastor the church in 1925. There are no records of the activities that transpired during this time frame but the assumption has been made that progress did continue. Rev. 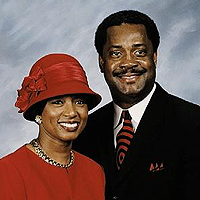 McDowell was known by many through his service as Moderator of the Progressive Association and the Sun Set Association. His leadership ability was quite commendable during his pastorship which ended in 1927. Some of his relatives were Mrs. E. A. Sims, Mrs., Gertie Martin, and Mrs. Claudia Gilford. In 1927, Rev. R. F. Bonner was called to pastor the church and immediately after accepting the offer, construction was started on a tabernacle. The foundation for the structure was laid by contractors but the building was constructed by the pastor with the aid of the members since they could not afford to have it done. The church increased numerically and spiritually. Rev. Bonner served until 1948. During the interim and before Rev. Rice came in 1949, Rev. J. L. Dawson and Rev. W. L. Brown assisted New Light but neither were pastors of the church. Rev. Rice pastored only a few months before his demise. After many years of trials and tribulations, another site for New Light Missionary Baptist Church was purchased. With the development and expansion of the site, there was a need for a Trustee Board; the following persons were selected to serve: Brothers Willie Turnerhill, Robert (Dude) Williams, and Rufus Jordan Patterson. The first deacons were: Brothers Elijah Gamble, first to be ordained, James Stephen, Cleveland Watkins, and Alton Hurd. The first church musician was Mrs. Anna Mannuel.